A 2012 study reported that around 60% businesses in the UK did not have a web presence at all. I’m sure the numbers would be far less in the US, but the fact remains that a lot of small business owners consider their trade to be an offline entity. Considering the fact that customers spend a major part of their time on the internet, businesses cannot afford to ignore the importance of a web presence. Even traditionally brick and mortar businesses like beauty salons, fitness gyms, etc. have put their business online. While some have grudgingly accepted the change, the general sentiment is of the excitement and enthusiasm. But creating a website is one thing and using it to sell a product or service through the website is quite another. Posting reviews about the latest products in your trade, comparing A product with B, writing about the latest trends affecting the business etc. is in vogue today. And to write about all of these you do not have to be articulate. The current generation likes to believe what it reads on the internet. They’re not really looking into the grammatical nuances- as long as the information provided is true, entertaining and informative and read-worthy. Blogs can be accentuated using infographics, videos and other material. Blogging about a subject creates an impression that you have authority over the subject. This not only convinces search engine bots but also your customers that yours is a credible website that is trustworthy. While search engine bots boost you because of fresh and unique content, customers believe that you put your money where your mouth is. Although there are several factors that help search engine bots to rank your website higher than your competitors, inbound links are an important aspect. Having said that, please understand that Google does not care about the number of links that point towards your site, but values the credibility or the value of those links. Link building should be a consistent effort wherein you build brand reputation by creating authority content over different sites. 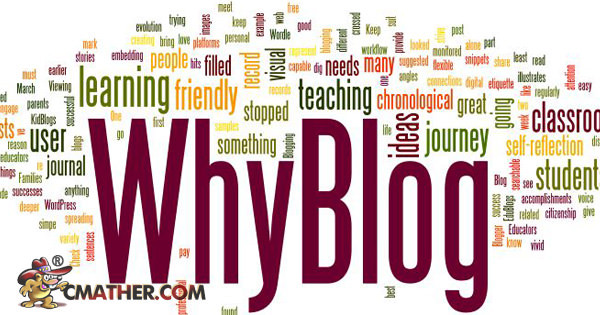 Your business blog could be one of these platforms. Such blogs have more inbound links because they make a lot more sense about your business than others and hence more appealing. Besides, you don’t have to always look for other platforms when you have your own! With more than 200 million digital shoppers in the US alone, there’s hardly a commodity that’s not shopped online. While offline shoppers compare products by actually reading the labels, their online counterparts depend on reviews from authority figures. Given the fast paced world that we live in, it does not take a genius to figure out which is time saving and convenient. You can use your blog to introduce or review products in your niche. If your opinion is unbiased and useful, people would flock to your site and hang on to every word uttered by you. Lead generation is very important to survive in business. Without disturbing your offline efforts, you can always generate leads by cashing in on your web presence. While websites help to bring in targeted traffic, blogs can also be optimised for business. Readers can be encouraged to participate by commenting, criticising, or sharing your content. The idea is to keep the communication channels open; this allows leads to come to you, rather than the other way round. Unfortunately, people do not trust online entities as much as they trust people. The ‘About’ page of your website can be used to explain about your company, its values, its history and the people behind it. What if this could be extended to a blog? The blog can be used to showcase the human element behind the business. This can be done through guest posts by employees within the company, posting pictures of the factory/warehouse or new equipments that you’ve purchased, sharing incidents or interactions with customers, etc. This would naturally customers to connect better and even develop brand loyalty. Sharing honest reviews from customers or sharing pictures of them using your product/service also makes them feel happy. The idea here is to win their hearts and minds.